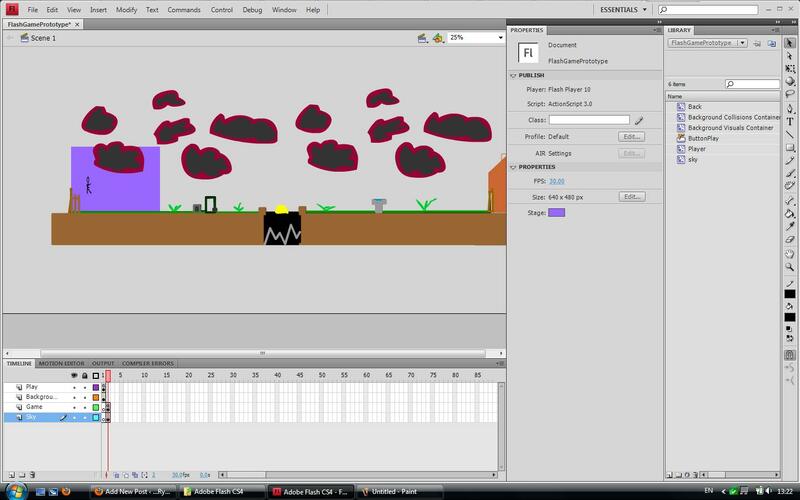 I decided to follow a tutorial for my casual game I’m making because its the first time I’ve attempted to make a game in Flash and I’m not great using actionscript 3 so needed the help, the tutorial can be found here. 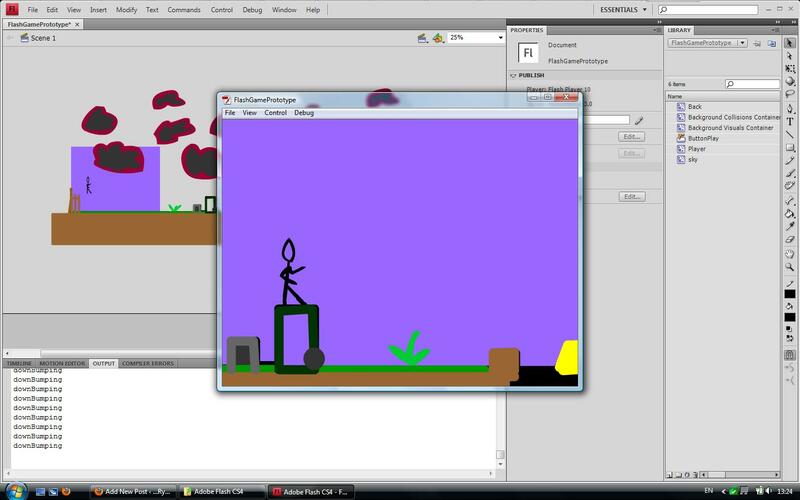 So i was following the tutorial and i got my character walking and jumping on platforms, also got some scenery done to make it look like the level i created in a previous post. And have a start button but I’ve got no ending to the game or ways to die, if you fall you just continuously fall. There are a few things that don’t work and I’m not sure why like the double jump doesn’t work and the sky doesn’t show up but other then that i don’t have any errors. I’m not particularly happy with my game at the moment because i wanted to be able to actually end the game and be able to die, its not really a game at the moment. I will continue to develop it so that i can get a better understanding of actionscript 3 and hopefully have a fully working game in the future.